During Roman Reigns’ ascent to the top of the mountain, the WWE universe has been treated to some very odd personas courtesy of the WWE creative team and predictably none of these characters have gotten over. This week on raw, Reigns came to the ring and grabbed the microphone as usual but this time around his demeanour was completely different, it was one of an assured antihero and it suited him perfectly. The change in character was extremely refreshing because he finally played the character that the WWE universe had been asking for since The Shield split up. Roman Reigns once again received a mixed reaction from the crowd however he showed that he is capable of displaying a character that’s interesting enough to chase the WWE world heavyweight championship. It’s no secret that Roman Reigns is a very limited wrestler but if he continues to portray the character that he was this week then it will help to hide one of his weaknesses, his promos. Since Roman Reigns returned to WWE programming he’s received a generous amount of promo time and he hasn’t made good use of it. His promos have sounded unnatural and awkward because he was portraying a John Cena-esque character which clearly didn’t suit him, this week Reigns cut one of his best promos to date and looked as comfortable as he did when he was with The Shield. Roman Reigns isn’t the type of character that tells corny stories and cheesy jokes, WWE already has somebody to take heat for that, Roman Reigns is a powerhouse that takes no-nonsense from anyone. This is what he did whilst he was a part of The Shield and he was hugely over for it and it’s what he should continue to do. 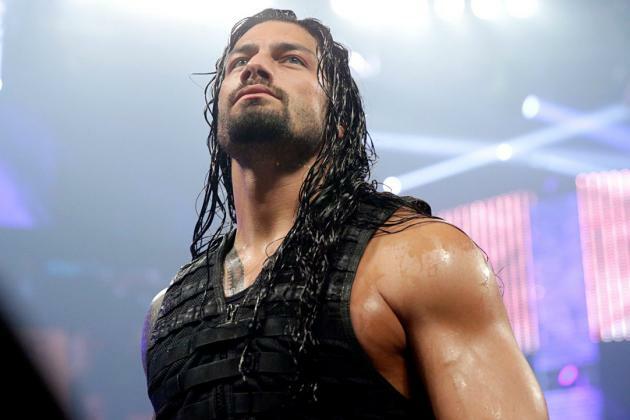 Roman Reigns’ character has been on a downwards path since he began his singles career but there is still hope for him. This week Roman Reigns definitely took a step in the right direction which was further cemented by his spear to Daniel Bryan, the most over superstar in the WWE. If Reigns continues to the be the antihero he was this week, then WWE will have a more interesting main event scene in the years to come.